What do you search for when trying to plan the perfect couples getaway? What characteristics does a hotel need to have to create the perfect honeymoon, or anniversary? This month, over a hundred people chimed in on Twitter’s #MexChat conversation to discuss romantic destinations and hotels in Mexico. With first hand knowledge of all the over-the-top, luxurious, and romantic hotels in Mexico, we decided to curate a list to take the guess work out of researching ‘that perfect hotel’ for you and your honey. 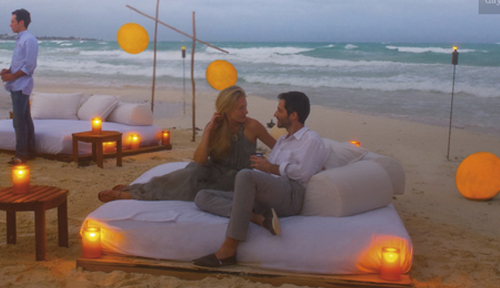 Here is a list of the most romantic hotels in Mexico – beach resort edition. Located in Puerto Morelos, this all-inclusive boutique resort of only 90 luxury oceanfront suites is set on beautiful 14 acres that includes a private beach. The hotel is focused on wellness, serenity, and romance, catering to couples in a relaxed setting. An Orient-Express property, this resort is located on a private beach of powder white sand and turquoise waters. It was once an adult-only resort, and although it now accepts children, the intimate ambiance is still present. This hacienda-style boutique resort welcomes you with a gorgeous cobblestone pathway and fountain. It is situated on the Sea of Cortes just minutes away from Cabo San Lucas. The resort provides Endless Privileges® all-inclusive getaway that provides gourmet dining options. 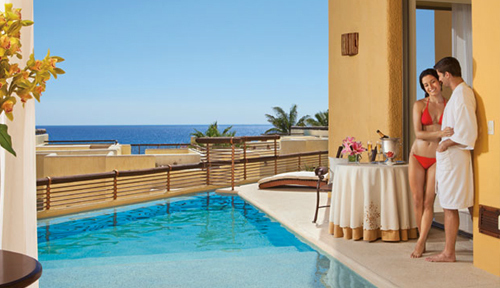 One & Only Palmilla is an ultra-luxury resort that has won numerous of accolades. The hotel is an exclusive hideaway of refined tranquility, with an array of accommodations including suites, villas, and casitas. 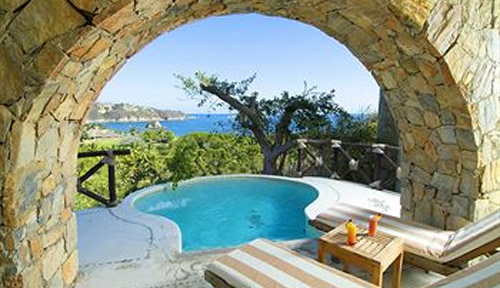 Perched on a hillside overlooking Huatulco’s Tangolunda Bay, this resort’s design was inspiried by The Arabian Nights. With only 28 suites, each with their own balcony or terrace, the service is very personalized and attentive. Guests say there is a certain ‘magical’ feel to the hotel that creates the sensation of escape and intimacy. What makes it romantic: Smaller property with dramatic views, marble jacuzzi tubs in each room, private beach club, suites available with private pools. 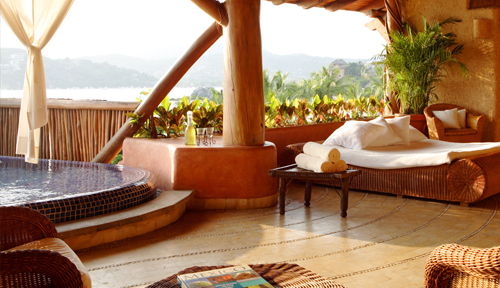 On the shore of Playa La Ropa is the luxurious retreat of Viceroy Zihuatanejo. The 35 guestrooms and 35 suites are housed in casitas providing a good level of privacy; and no two rooms are alike. The property spans a large amount of beach, and also has a private lagoon. This resort is continuously receiving accolades for its luxury and service. The property provides an array of suites that cater to every need, each over 1,000 sqft and with their own private terraces perfect for a romantic dinner. What makes it romantic: Amenities such as interior Jacuzzis or outdoor Jacuzzis with panoramic ocean views, sensual couples massages. 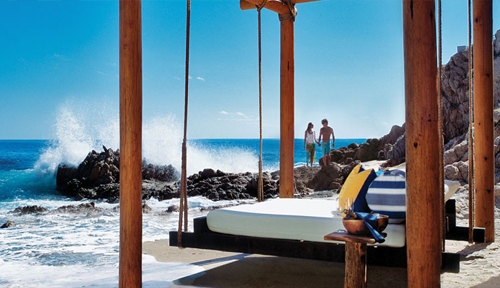 Located in Punta Mita, this Four Seasons property offers the absolute best in terms of hospitality, dining, spa, and everything you could ask for in an exclusive resort. There are several pools, a lazy river, private beaches and lounging cabanas that create romantic and secluded settings..
A very informative article to read. Thanks a lot for sharing this. Keep it up.